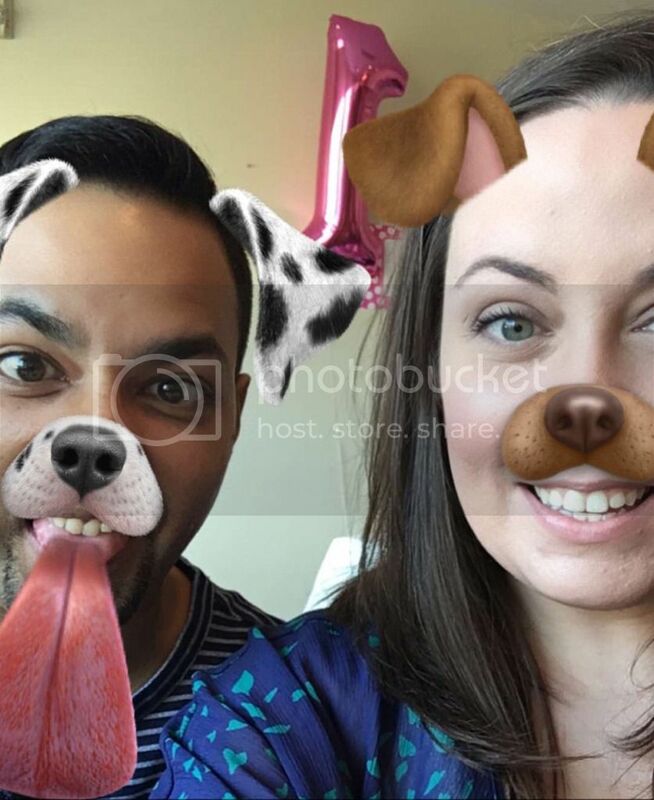 I’ve been totally slacking on the blog! I apologize. The last week and a half have been a little crazy and way too fast for my liking. Last Thursday I had to take a half day from work because I was driving back to Pittsburgh for my sister’s dance recital weekend. She did beautifully, by the way. The next day on Friday Sam found out that he was being promoted at work but at a different store. Great news but it was a little sudden and I was excited but saddened that I was unable to be with him to celebrate or anything. 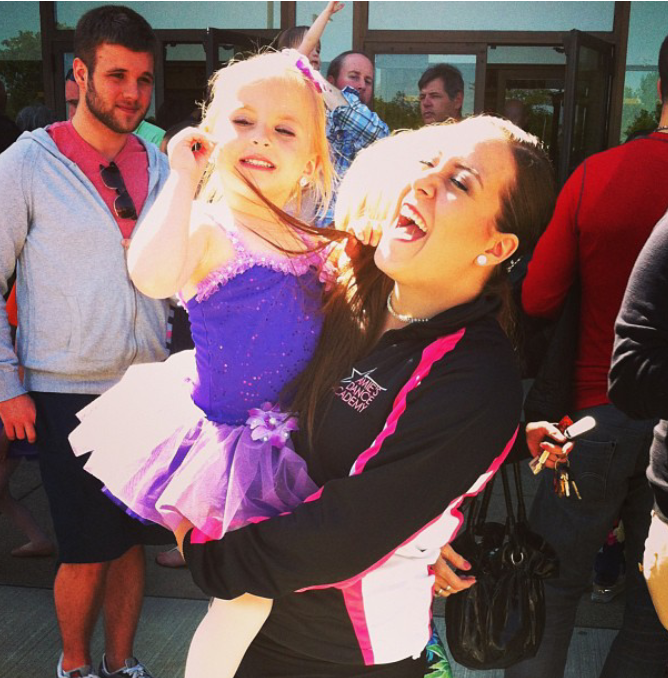 All last weekend was dance recital stuff. Friday night was dance rehearsal night and then Saturday and Sunday were both crazy because of the actual recital. My sister’s senior solo was amazing and I’m not ashamed to say that I cried three nights in a row, dress rehearsal included. I left Pittsburgh on Sunday night and got in around Midnight on Sunday night or Monday morning (whichever way you look at it). I came in early because I had to go look for cars to lease. Before Sam got promoted we were lucky enough to be able to share one car. We both worked really close to home and were able to drop each other off and pick each other up and what not. It worked great! But now that Sam got promoted to a different store, the one car was not going to cut it. I spent all day Monday, which happened to be Memorial Day, with my mother and father in law at the dealership. Negotiating is exhausting, let me tell ya! We got a pretty good deal. I was just freaking out all day due to the fact that I really hadn’t got to talk to Sam about any of it because I got in late Sunday when he was still sleeping and he left before I got up to go to work. It was insane! Anyways, I ended up getting a Hyundai Elantra to drive back and forth to work in. I like it a lot. This coming weekend is my sister’s graduation party. I’ve been blogging about it for a little over a month now and it’s finally here and I’m freaking out! Did I get enough? Do I need anything else? Did I forget something? Oh my! I know it’s going to be fun so I’m trying not to stress about it! I’ve already got a stress pimple on the bottom of my cheek! Guh! Anyways, I’ll be blogging more often, I promise and I actually have some good stuff coming up so stay tuned! My sister is graduating high school in a little over a month and I’m in utter disbelief. I can’t believe she’s about to go to college and about to turn 18 and be an adult. 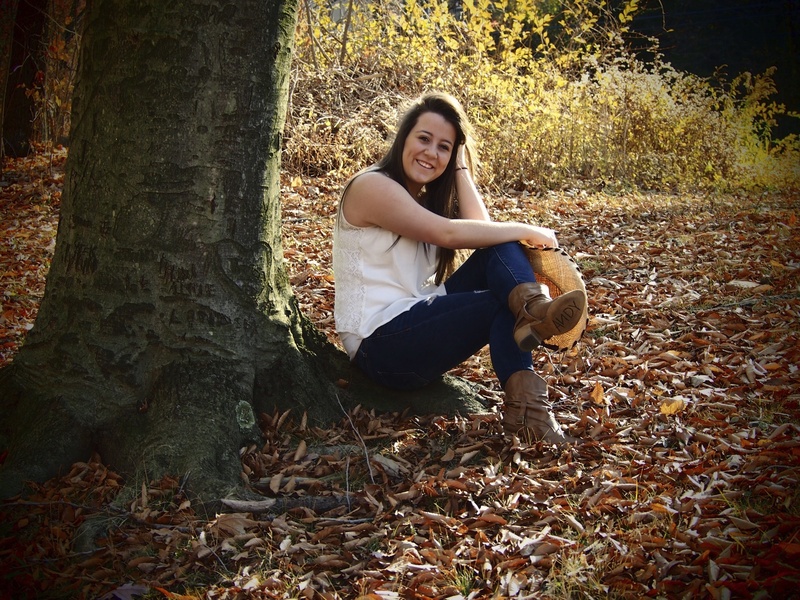 This is one of her senior pictures that I took recently. Graduating high school means there’s going to be a graduation party! I’m helping my mom with the planning. I ordered the invites on Thursday night and we’ve decided that it’s going to be a country themed party because my sister loves cowboy boots and cowboy hats and all the country music and country boys and pickup trucks and what not. I’m not a fan of any of that but I love all the rustic decor. My mom is taking care of all the food and catering and stuff and I’m taking care of all the decorations and a homemade photobooth! I’m super excited about the photobooth actually. I wanted to share my progress with you guys and let you in on some of my ideas so you can let me know if it sounds stupid or if there are ways to improve them. I want to do something like this but with the twine not so droopy. 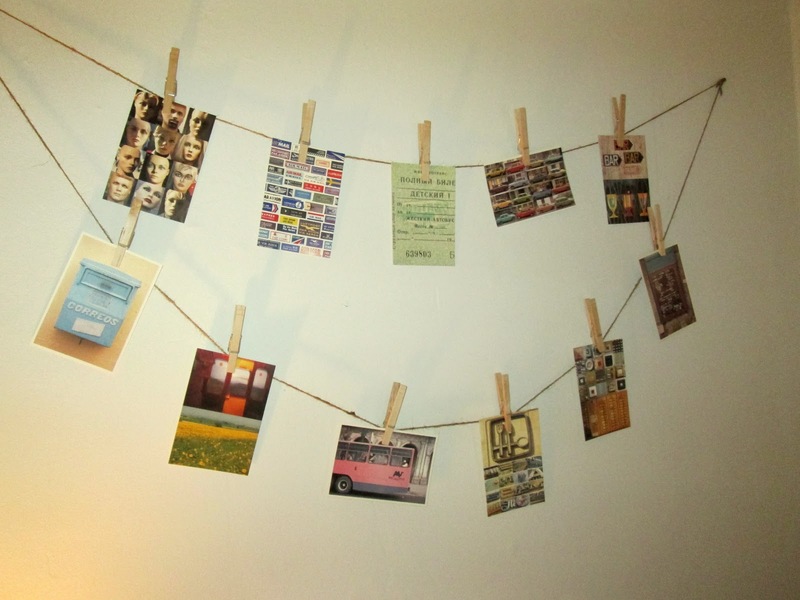 I got the twine and the clothespins and did a small test run just to make sure the pictures stay put and they do! So hopefully that will work out. 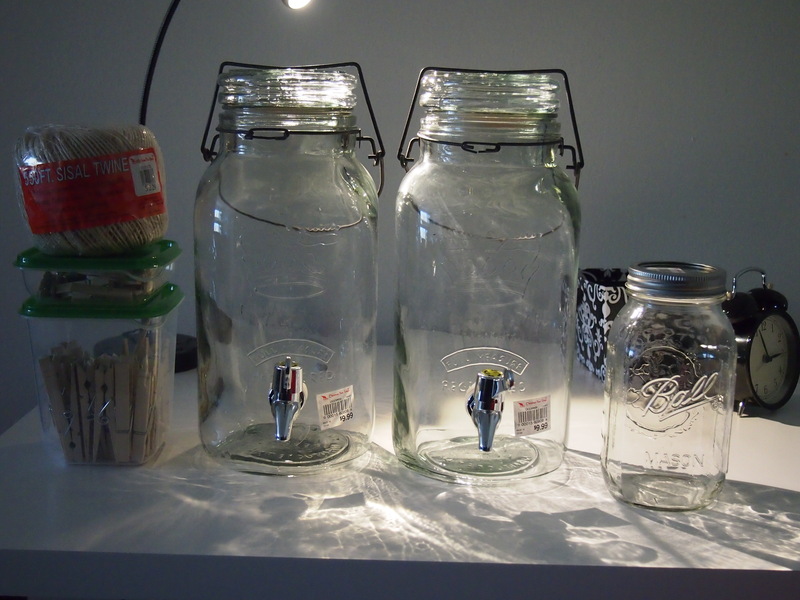 Another thing that I’m super excited about are these cool jar beverage spout things. I’m not sure what they’re called but I figured they’re perfect for lemonade or iced tea or even some kind of wine spritzer. I got them for $10 each at the Christmas Tree Shop near me and they look very rustic and country to me and considering I’m going to be using mason jars for flower vases and utensil holders I think it’ll go together very well. I wanted to make it a very feminine color scheme so we’re using a pink, a light pink, and gold as our main colors. 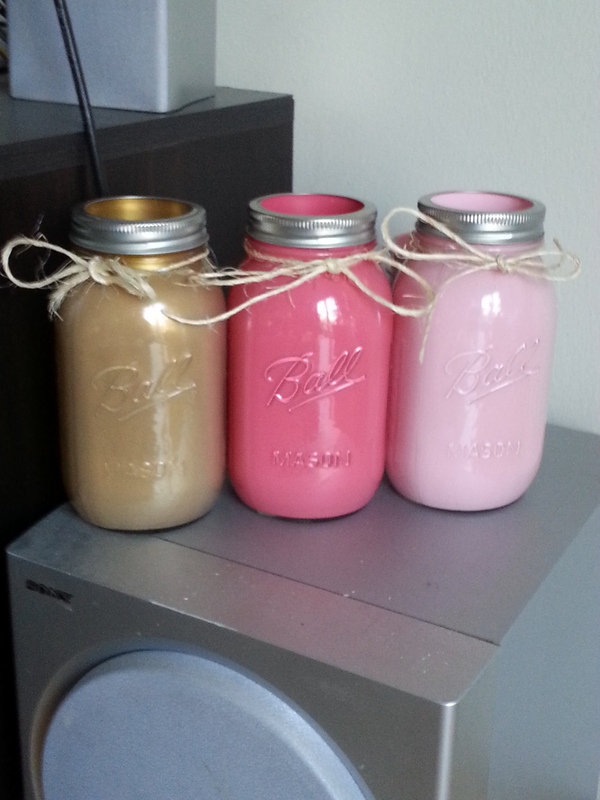 I painted these mason jars and I think the colors look awesome together. Normally people use their high school colors but my sister’s high school colors are black and blue which are very harsh to me so we’re going a little girly. As for the photobooth, I got some really awesome ideas from Lovely Indeeds blog post which you can find here. 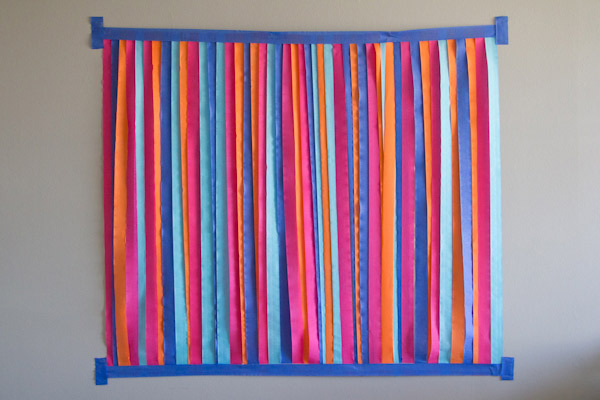 I’m going to be using streamers in all the colors I mentioned previously and I’m going to add tissue paper pom pom kinda things that will hang from the ceiling. This is what hers looks like and I love how easy it is to put together. And lastly, for now, is this awesome milk can I found at Christmas Tree Shop. This is my before and after picture. 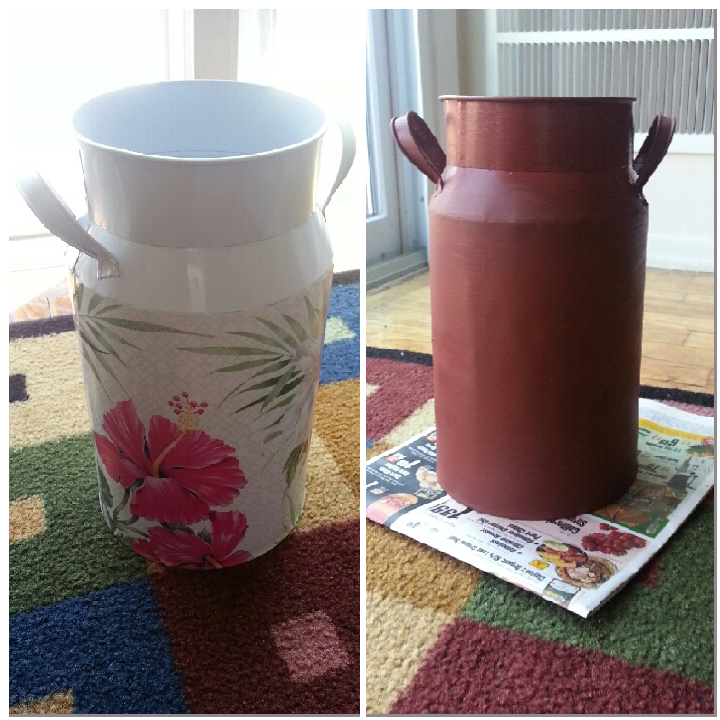 Before it had all these tropical looking flowers so I took some acrylic paint in a brick red color and painted it. I had to do a few coats but while doing my last coat I added some crimson red and some gold streaks which you can’t really tell from the picture. I’ll try and take a better picture at some point but I figured this would be an awesome flower vase that I can load with sunflowers. I may decorate the can a little more but I’m loving the color of it! So, that’s it for now! Please help me with some more awesome simple ideas or ways to improve what I’ve already got. Hello and WELCOME! My name is Katie. I’m 29 years old and I live in Easton, PA. If I’m not busy making a complete mess of something then I’m usually busy organizing it. I overanalyze almost everything and like to hit the ground running. I’d say I’m somewhat of a free spirit in a sense that I like to get up and go whenever the mood strikes. My blog is full of silly stories, organizational tips/tricks, some DIY projects, and a lot of sarcasm and usually an awkward amount of profanity. Enjoy! ALL the Back-to-School Deals in ONE PLACE!